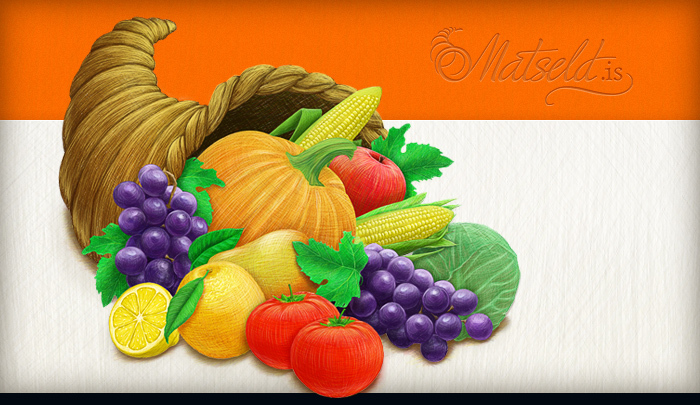 Set of icon-illustrations in screen and print sizes. 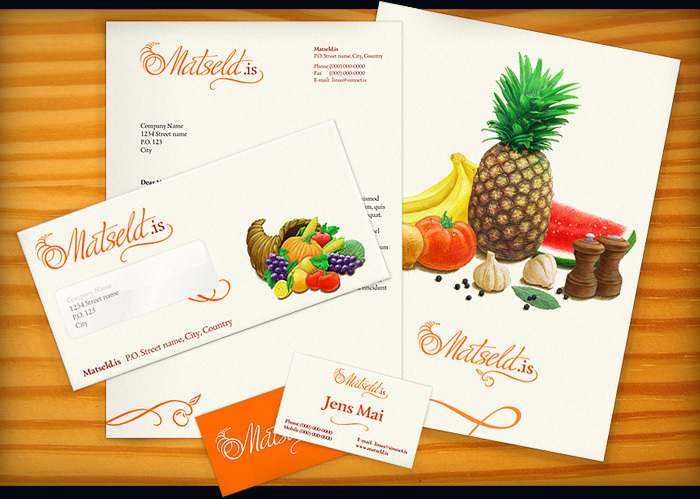 Made in a unique technique and style. 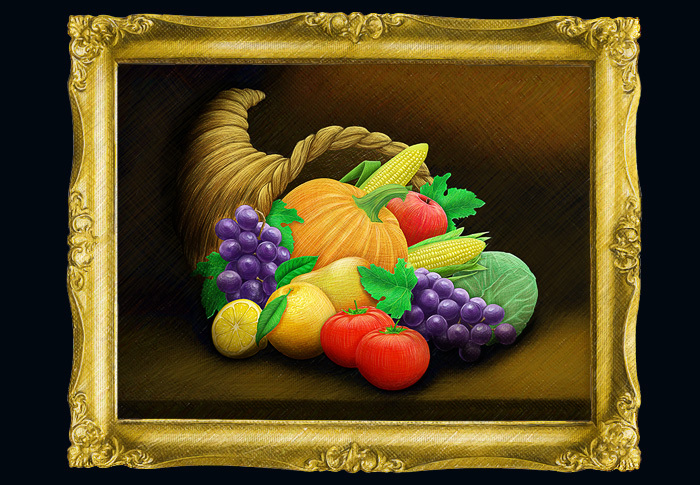 Main symbol — horn of plenty. 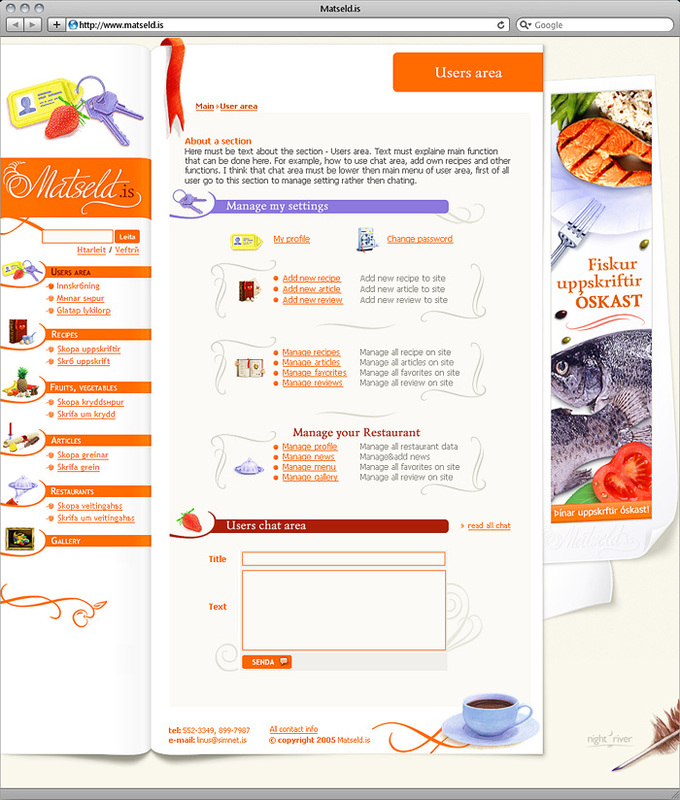 Vector icons (Xara) for different site sections: favicon, forum, rating system, user area. 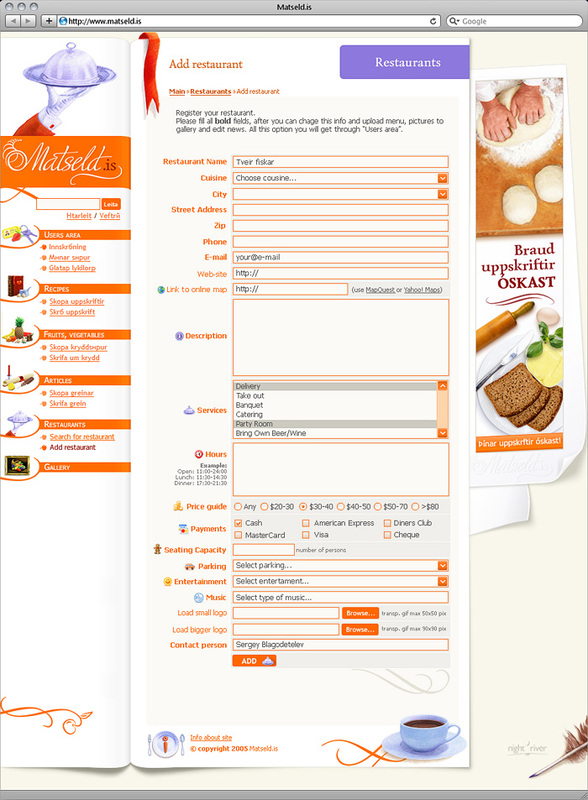 Design of the food portal Matsled.is. 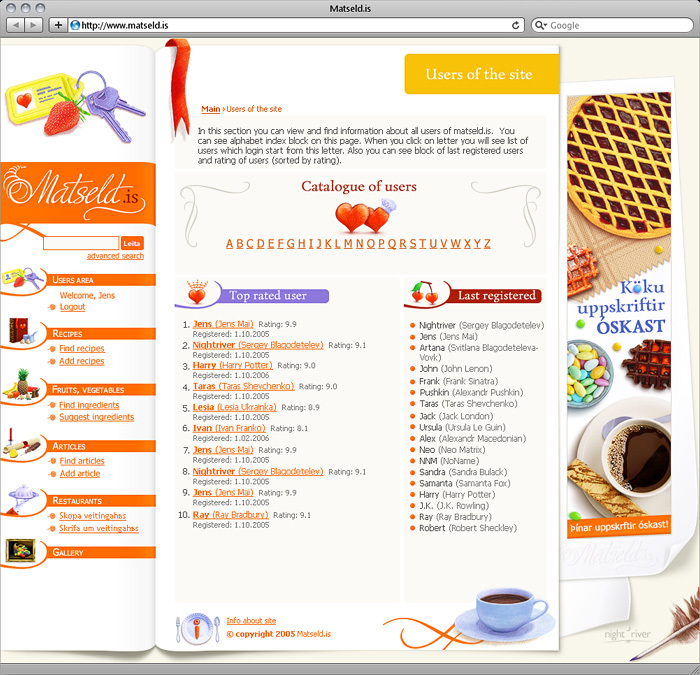 Total designed more then 50 pages, here just some of them. 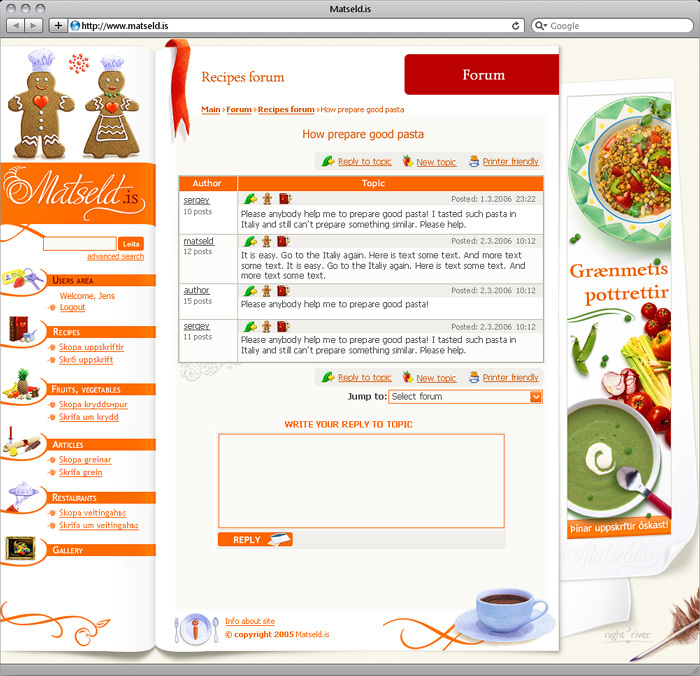 Also take a look on next pages: Forum, New Year home page, Login, User Area and User Catalogue. 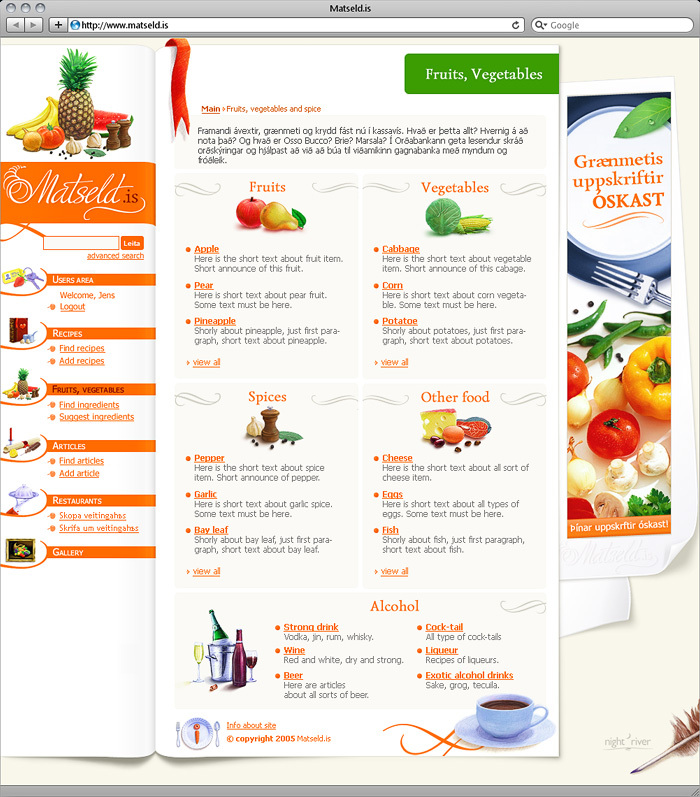 Reference book for fruits, vegetables. 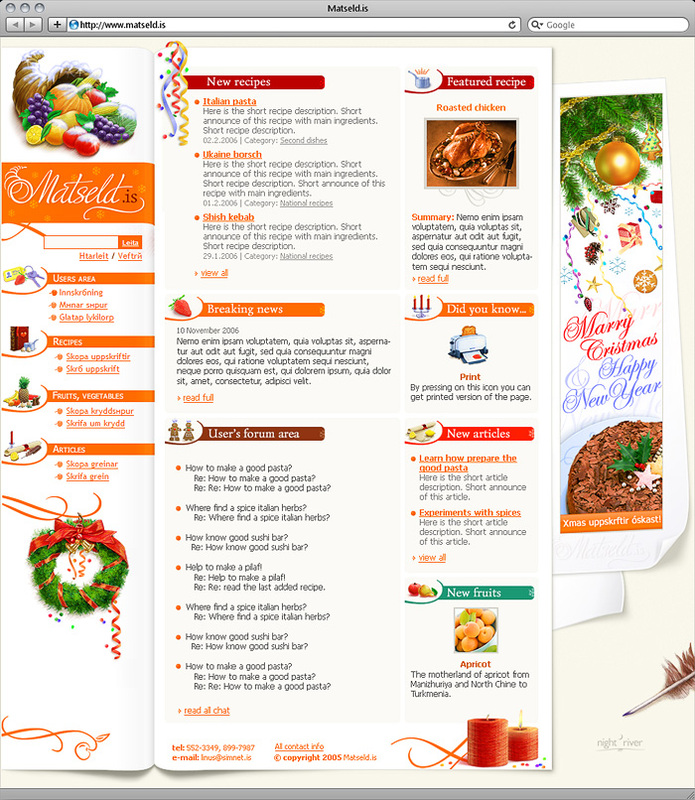 spices, wine and other things. 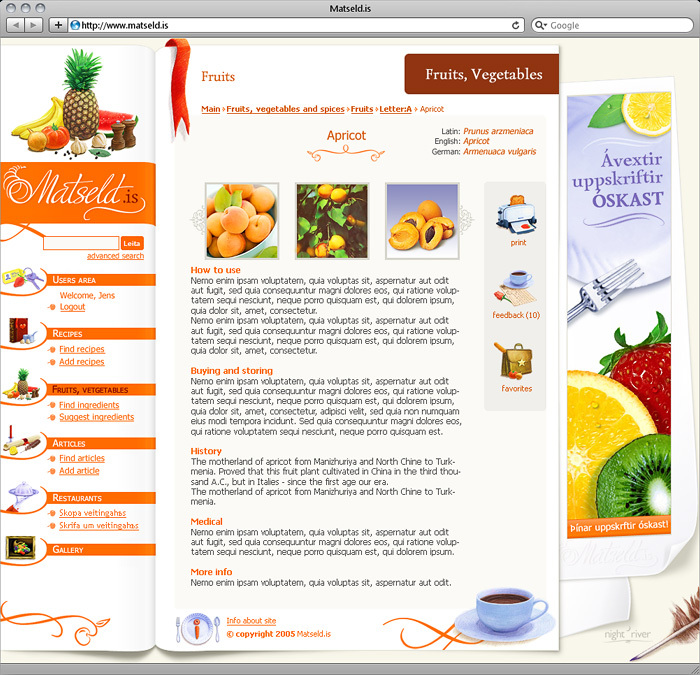 Take a look on fruit's content page. 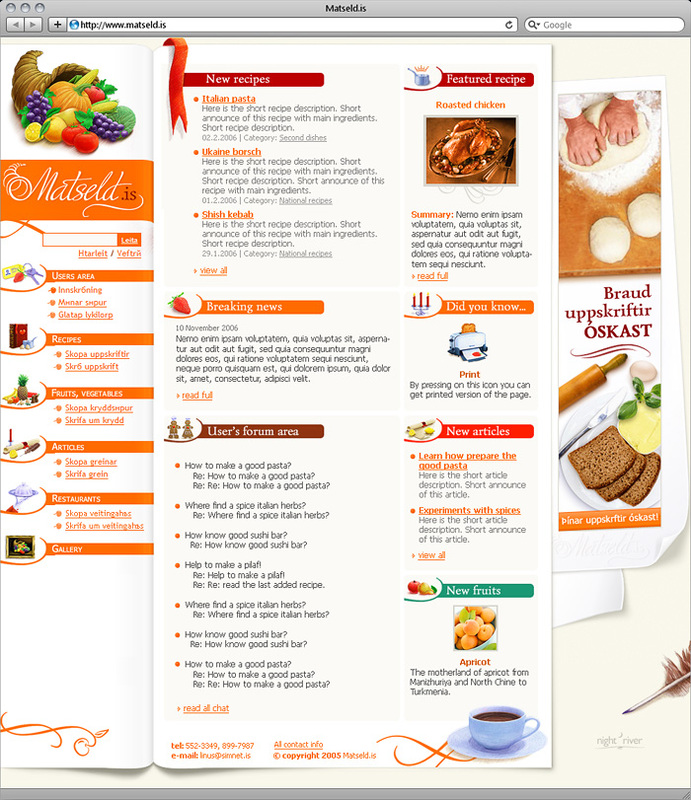 Recipe's content page. 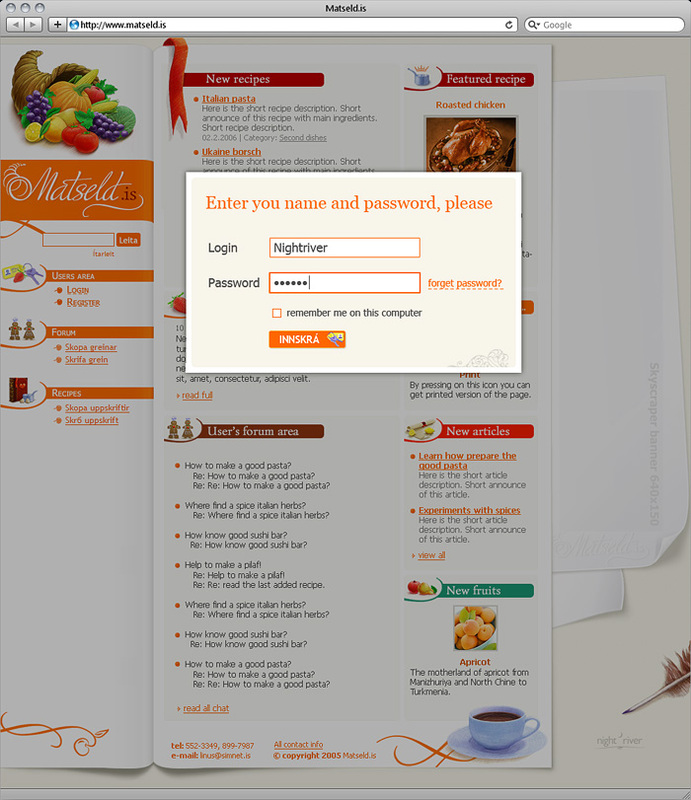 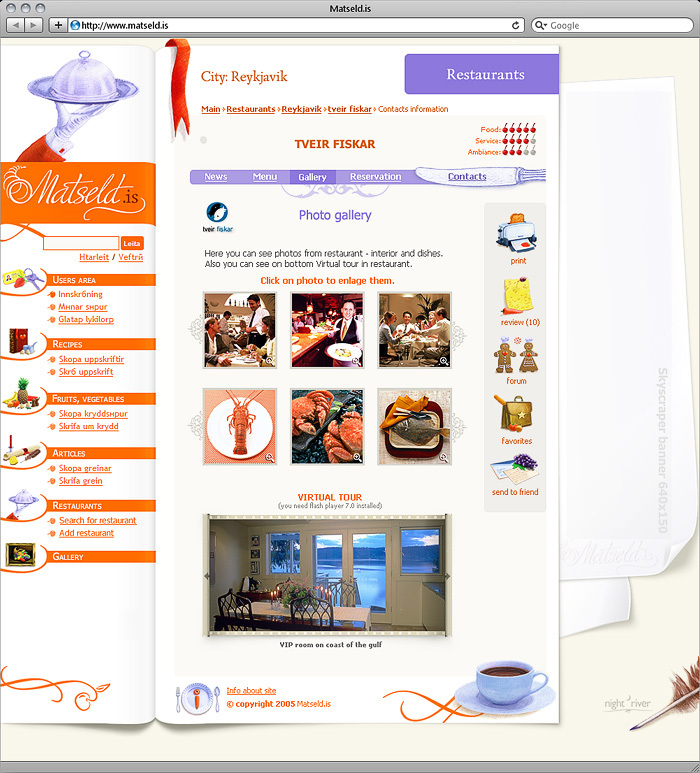 Visitors can rate recipe, print, add comment and own notes, and also add to personal favorites. 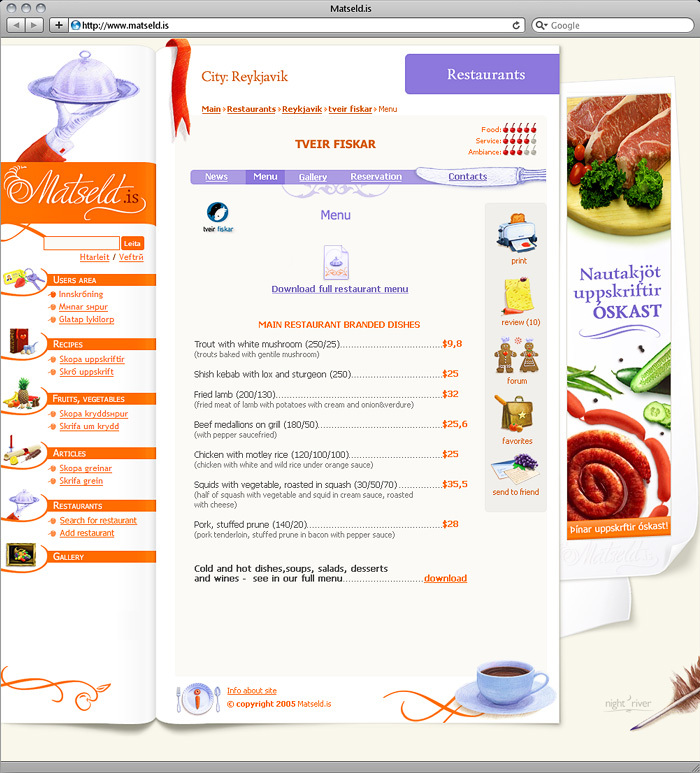 Main Restaurants section page. 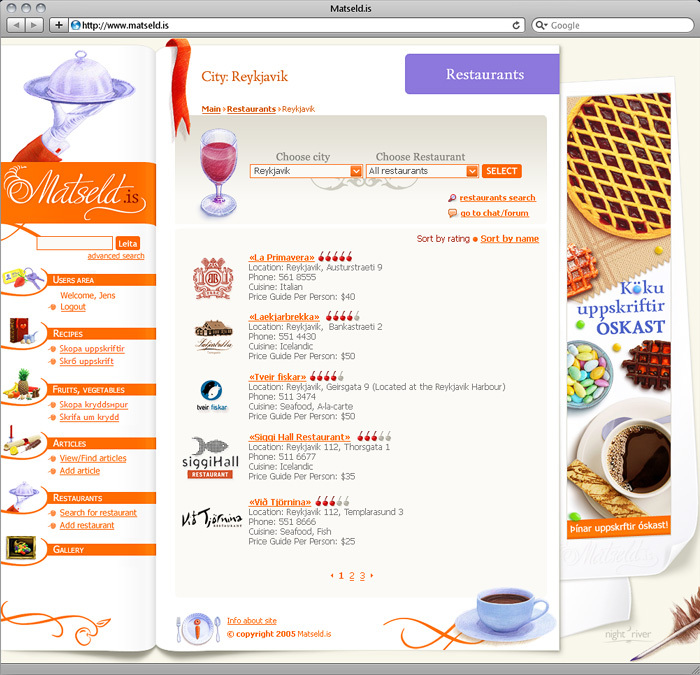 Other related pages: Add new restaurant (for owners), Find the restaurant, Restaurant's gallery and menu. 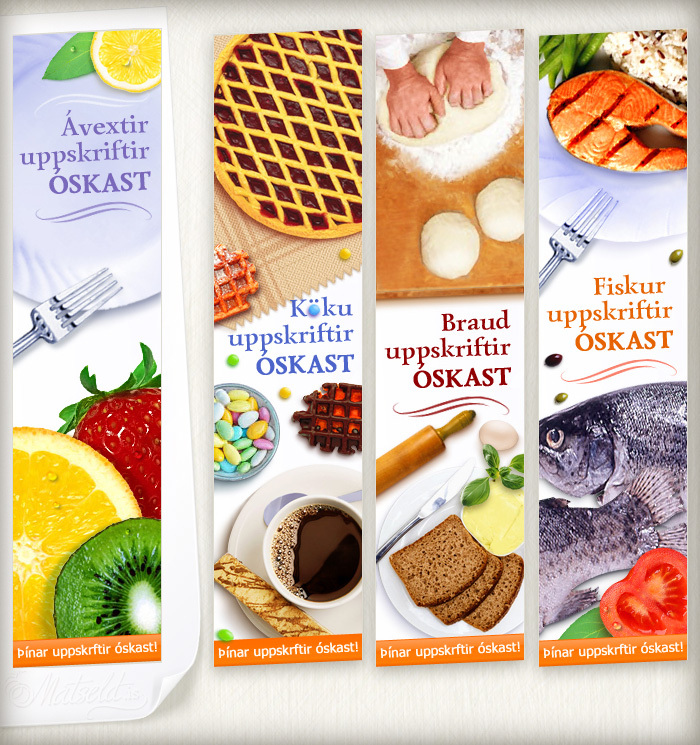 More then 20 banners in various size and format. 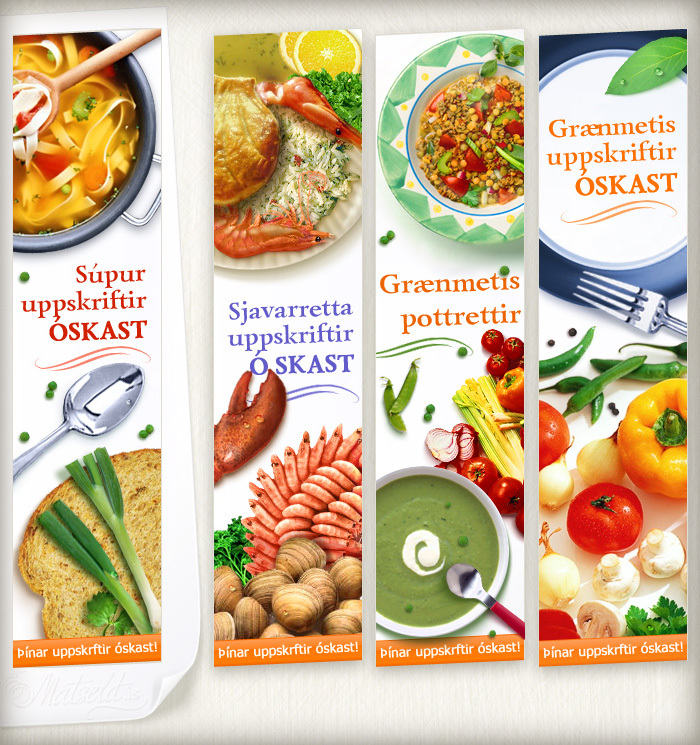 Here is just few example of GIF and Flash banners. 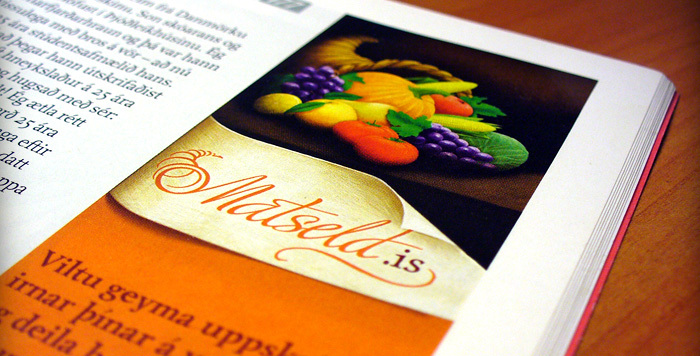 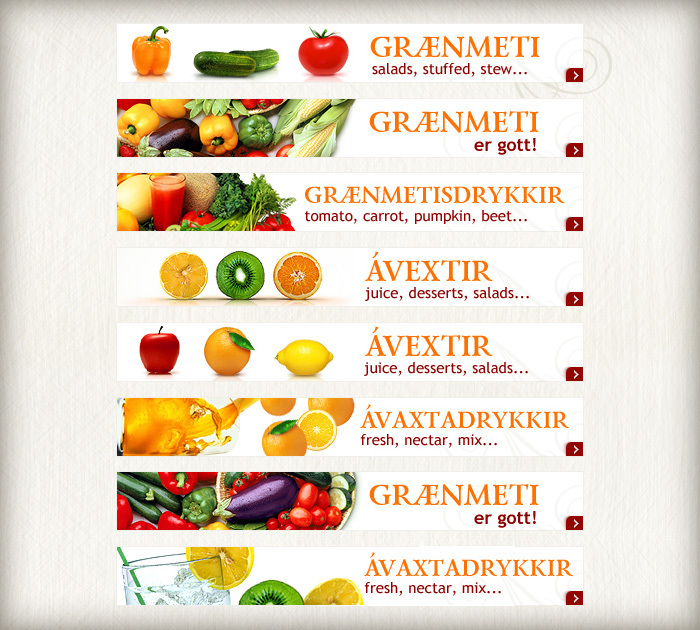 Set of advertisements for Icelandic magazines. 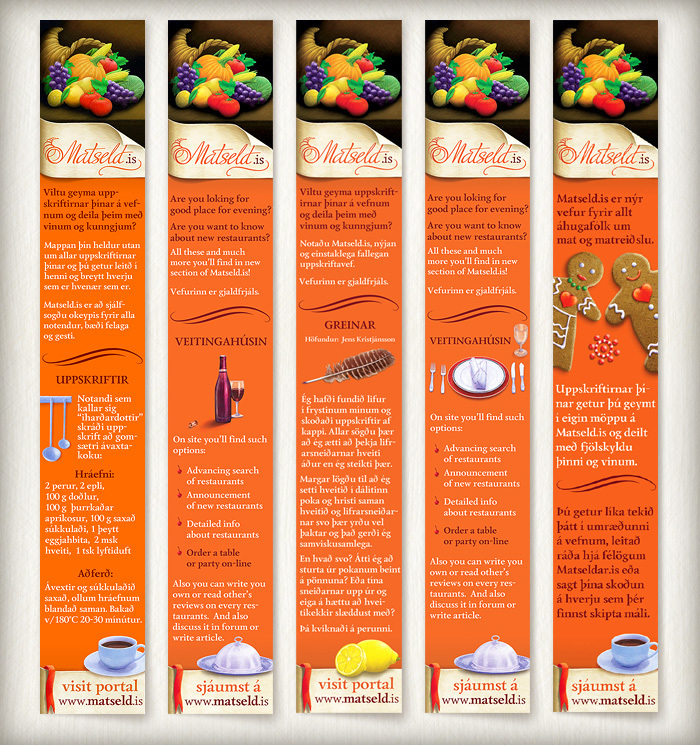 Set of banners for inside use. 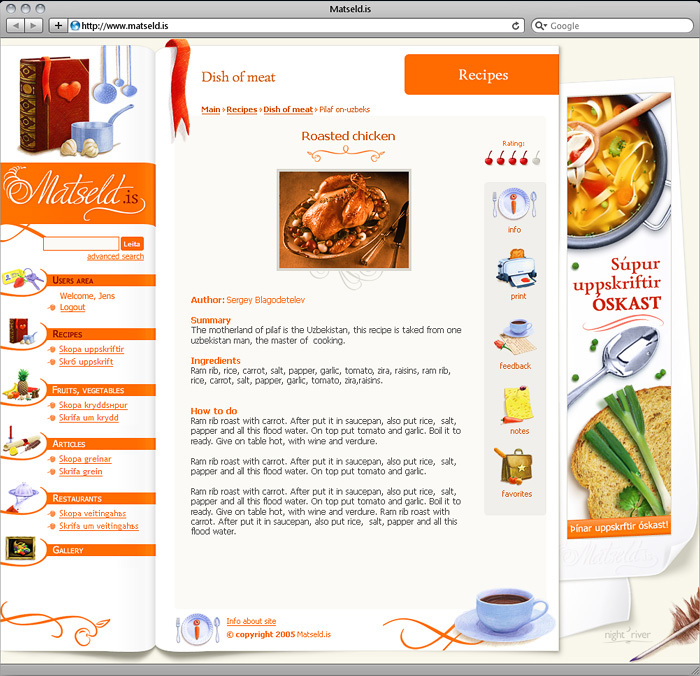 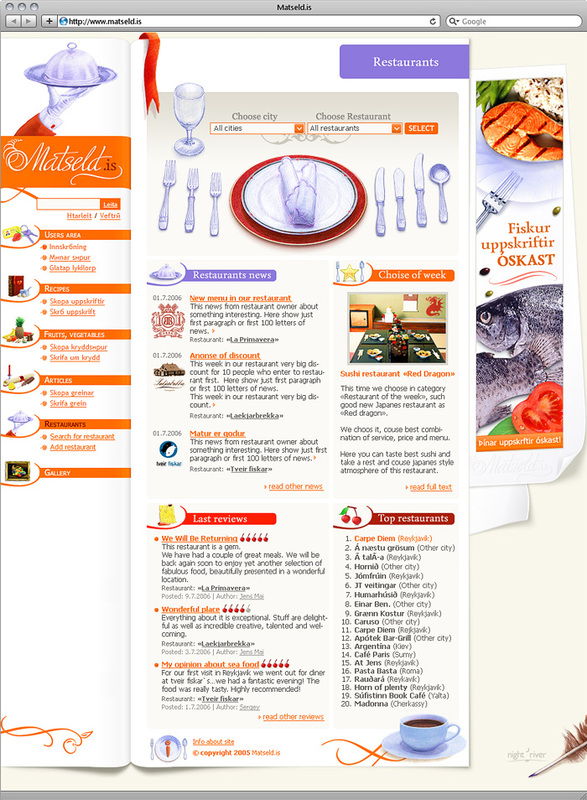 Banners ask users add various type of recipes.